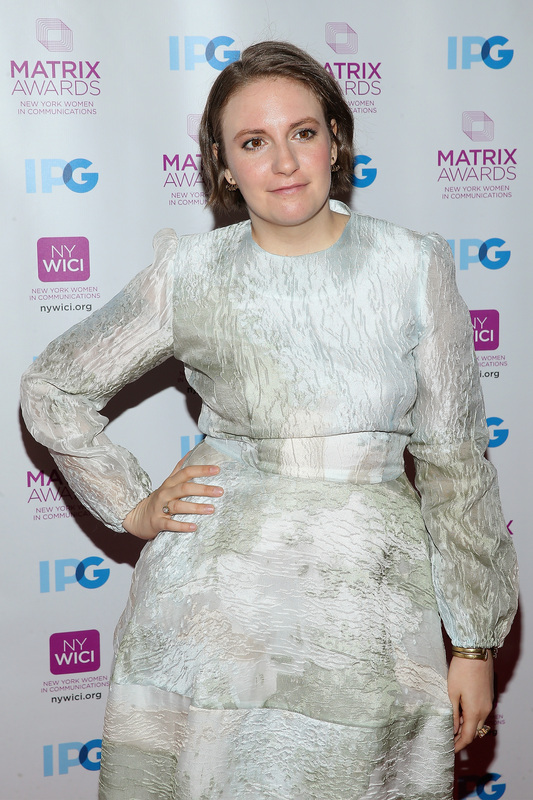 Lena Dunham's style is so unique. It turns out that her DNA-distinct look goes all the way back to her 2003 junior prom and has a generational influence. Lena Dunham wore a vintage Dior dress to her 2003 Junior Prom — no taffeta poufs or intricate beading here— and it was a gift from her grandmother. The writer, actor, and feminist posted a photo of the emerald green dress with a floral print on her Instagram and it wasn't even a TBT or a FBF. It was, however, absolutely stunning. The dress is still stylish today and, I mean, it's Dior, so of course it is. But the reason that Dunham posted this photo is beautiful and powerful. Her grandmother Dot recently passed away and this was a sweet way to memorialize a woman she clearly loved. Dunham noted in her caption that her mother styled her in this classic photo before her date arrived. She is standing in front of a window and isn't looking directly at the camera. It's such a gorgeous, almost stolen moment. Dunham also referred to the frock as "The Sisterhood of the Traveling Dress," in reference to the film since it is a fashion unicorn that has the magical quality of fitting and looking good on everyone... just like that perfect pair of jeans in the movie. Dunham initially celebrated her grandmother in a series of photo posts, spotlighting her natural elegance and grace. But the picture of Dunham in the Dior dress for prom demonstrates the redemptive and connective power of fashion. A simple article of clothing — in this case Dior!— can have a rich history and can tell a story while connecting women as it is passed down and as each wears it for a different occasion or reason in her life. Like the pants, this dress travels well. Dunham's style is so her own. If you are feeling the look of Dunham's dress but can't afford to scour vintage couture racks, there are plenty of similar cuts and prints out there, like this adorable, budget option.